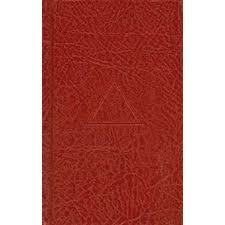 It is common in Craft Lodges for the new Master Mason to be presented with the small Blue Book of Ritual that the Lodge uses. It might be an Emulation Ritual but there are others such as West End. Chapter has a similar book that is usually Red. There are two Ceremonies in the Royal Arch that are practiced regularly: Exhaltation and Installation. Exaltation is the Ceremony of Joining a Chapter – roughly equivalent to Initiation in the Craft – and is a powerful, colourful and thoughtful ceremony. Done well, it is an absolute delight to both be a part of and to see. Installation is the Ceremony of replacing the Principals or Rulers of the Chapter. It is a little more complex as there are Three Principals, each with their own section of Installation. Again, it is enjoyable and thought provoking. As in the Craft, there are a number of different versions of the Ritual, for example Chapter has Aldersgate (probably the most common) and Domatic Rituals. There are others. Each Chapter works its own version of a ritual they are broadly similar but subtly different. Suffolk First Grand Principals Chapter, to be different, deliberately chose an obscure Ritual to keep its members on their toes. It is very much worth visiting different Chapters to see and appreciate these differences.